Recently, our youngest son (age 6) has been exploring a familiar phonics program in a different setting. Previously for our Talking Shapes review we reviewed this program as an app on their iPad. Now Talking Shapes: A Supplemental Curriculum for Early Literacy is available online. This phonics supplement from Talking Fingers Inc. is ideal for the Preschool to Kindergarten age range that teaches children that letters are “talking shapes” that stand for speech sounds. Our previous Talking Shapes review was just over two years ago, and our youngest son wasn’t quite ready for it. Although he has started using it on the iPad, he was really excited for the opportunity to use it on the computer. We have been using it on my touchscreen laptop running Windows 10. 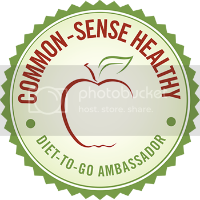 The program is accessed online by signing into your account and clicking over to it. The progress is continually saved so you can start off where you left off. We have been using it in Google Chrome. Sometimes it does take a while to load, so I simply let it load before telling Chaz we’re ready to begin. I personally love the concept of the letter shapes. So many times letters are associated with pictures that don’t represent the letter itself. It doesn’t simply use a picture to represent the letter. It actually creates the letter within the picture. It’s a great way to create a visual while also representing the sounds letters make! Talking Shapes tells a story of two sisters and how they “invented” the alphabet long ago. 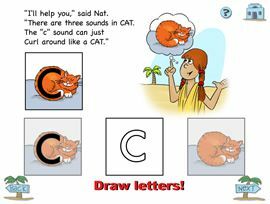 It includes seven stories total that introduce all the speech sounds and letters in the English Language. With each story new speech sounds are introduced to build upon what they have learned. The layout is great for reinforcing what they’ve learned while easing into new letter sounds as well. In addition to learning letter sounds, Chaz has been learning to write the letters as well. 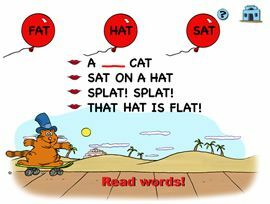 Talking Shapes focuses on the capital letters, though, which contradicts most other phonics programs we have been using. Although it is designed as a supplement, I do find it can be confusing if it’s being used at the same time with another phonics program that focuses specifically on lower case letters. Talking Shapes also offers various activities including putting together 3 letter words using the sounds they’ve learned. There are reading games at the end of each story that offer the opportunity to further reinforce putting together the sounds to make words. Chaz particularly likes the games where he puts together the letter sounds into words because each time it is correct a bird lays a golden egg. If all answers are correct it will complete the puzzle and the babies hatch. If not, he can go back to fix any he missed. Additionally, there is a game to help reinforce the learning of these words. It will read a story and create blanks one at a time. Balloons with the words fly overhead, and he has to pick the one that has the word. Unfortunately, this proved to be frustrating for him. It was challenging for him to try to read moving words, but it also took a few clicks to get the balloon to pop. I even attempted to have him point it out so I could click on it, but I had the same problem. Overall, it was interesting to try Talking Shapes on a computer, but Chaz and I mutually agree it’s better on the iPad. Despite having a touch screen, the only touch features that worked were clicking over to the next page. He was unable to write the letters with his finger and had to use the touchpad. Since that was too difficult he would simply “color it in” rather than writing it. To encourage writing the letters, I would have him write it with his finger first and then use the touchpad. I attempted to follow instructions for resolving these issues as they have been making updates, but they were unsuccessful at this time. Despite some of the technical difficulties, the program as a whole loaded and ran fairly well. It was nice seeing the story on a bigger screen. I loved that it saved our place so we could simply hop on and start where we left off. Plus, Talking Shapes really does allow children to go at their own pace. Chaz liked to listen to the whole story and complete all the activities and games for that story all at once. It could definitely be broken down into multiple days, though. I do appreciate the concept and find it’s a great phonics supplement when used at a different time than other phonics programs. I do agree with other programs that lower case letters should be taught first as they make up a majority of our words. Some children may not have a challenge with learning both at the same time. Due to our son’s special needs and developmental delays, though, it’s not ideal to use this program while he’s learning letter sounds and writing lowercase letters. Other members of the Schoolhouse Review Crew have been using Talking Shapes app with their children of various ages and stages as well. So be sure to see what they thought by clicking on the banner below!